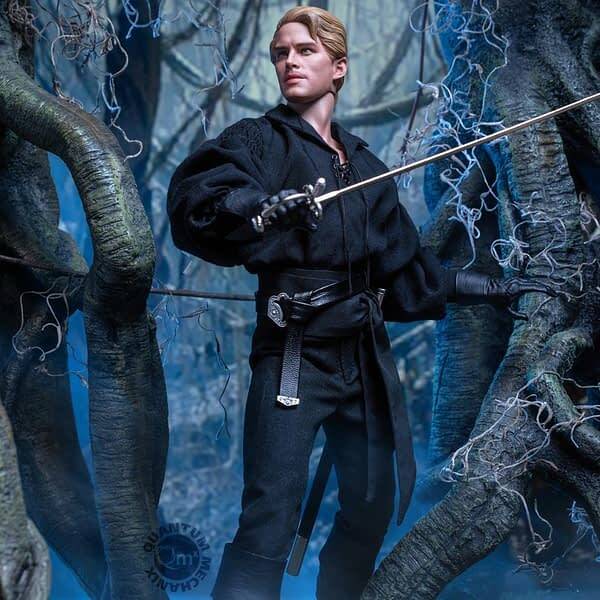 We just can’t get over how GOOD this Westley (aka The Dread Pirate Roberts) figure from Quantum Mechanix looks. 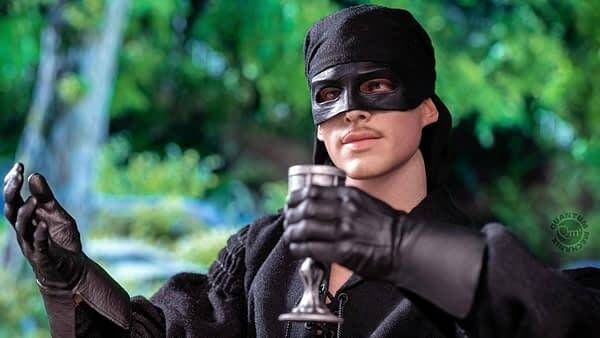 Perhaps you’ll recall the ’80s film The Princess Bride and its masked-man heartthrob played by Cary Elwes, including all the super-quotable… quotes like “as you wish” and more. 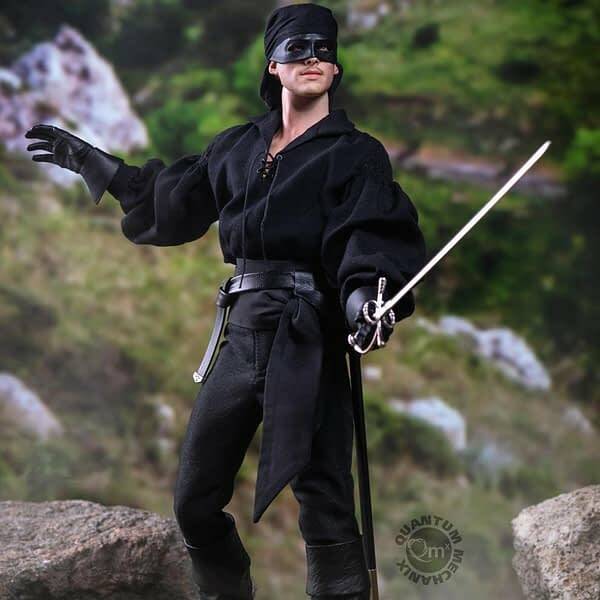 Well, QM has the first officially licensed 1:6 scale articulated figure of the Dread Pirate, and you can order him now. 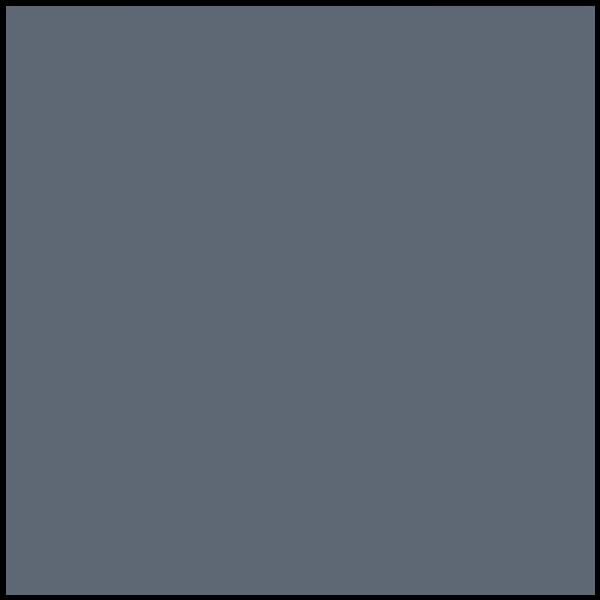 This 1:6-scale figure re-creates the iconic character in exquisite detail. Standing approximately 12 inches tall, every element, from his pirate’s tunic to his rapier, is authentically reproduced. 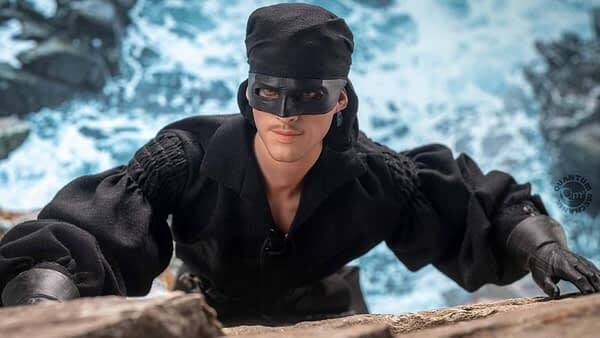 He has two different heads; The masked Dread Pirate Roberts and the unmasked Westley – both with the authentic, hand-painted likeness of Cary Elwes. Fully Articulated Body. More than 30 points of articulation allow the figure to be displayed in multiple dynamic poses. 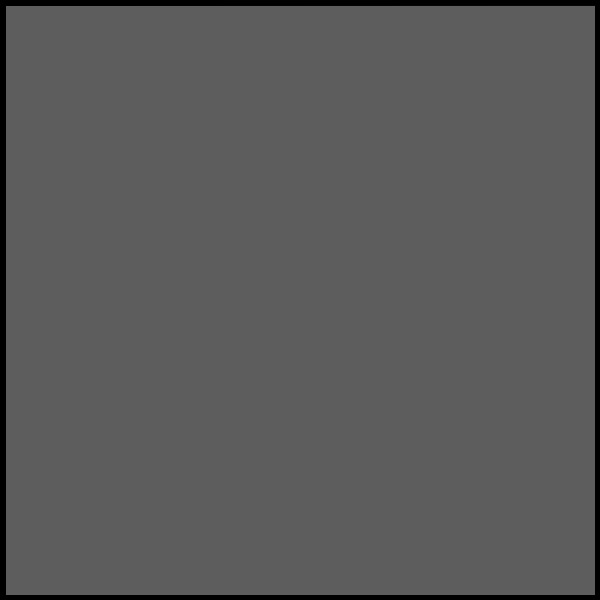 Two Realistic Portraits. 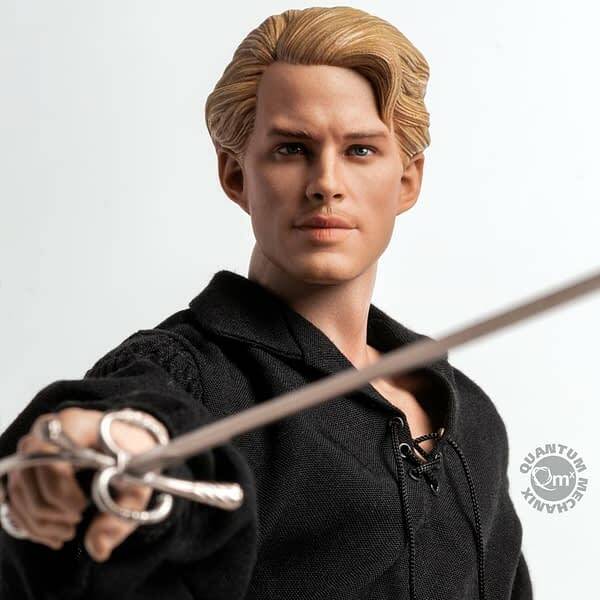 Lovingly rendered by QMx’s team of top sculptors, the heads have an exacting likeness of Cary Elwes as both the romantic Westley and as the heroic Dread Pirate Roberts (mask and head scarf are not removable). Each head sculpt is hand-painted. Black Pirate Costume. 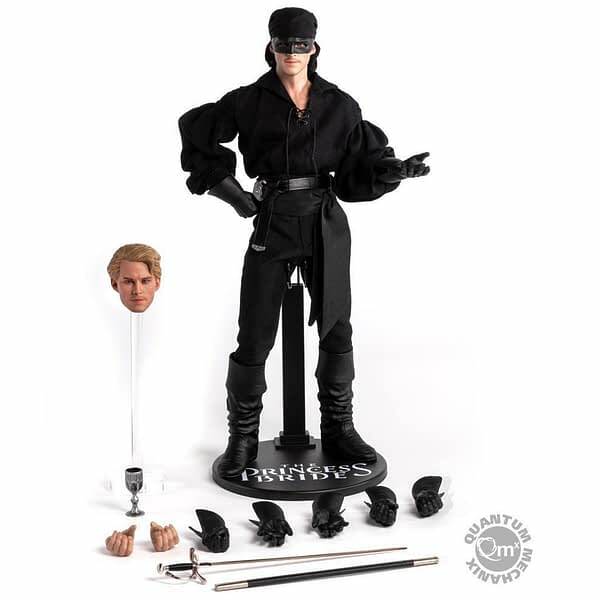 Includes a puffy pirate shirt and black pants – both painstakingly crafted replicas of the movie outfit. Sword belt. A leather-like sword belt with electroplated buckles and a sword hanger for Westley’s weapon. Pirate Boots. For firm footing when wrestling giants. Pirate sword and scabbard. An electroplated sword, which can be wielded in either the left or right hand (critical for those who have studied their Agrippa), fits nicely in its scabbard. Wine goblet. Never go in with a Sicilian… without the proper wine cup. Hands: Seven gloved hands and two bare hands are included for assorted swashbuckling activities. Display Base: A round display base featuring the Princess Bride logo. It will hold up the figure (even when mostly dead).